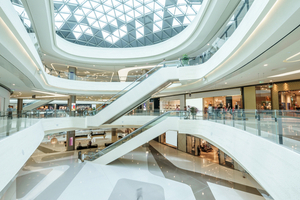 If you were injured at the Westfield Broward Mall, then you should call the Broward Mall accident attorneys at the Wolfson Law Firm. With offices in Fort Lauderdale, Miami and West Palm Beach, our mall accident lawyers are available to answer your questions. Just call us at toll-free 855-982-2067 or at our main office in Miami at 305-285-1115. But even if you don’t call us, make sure you call someone to help you get the answers you need. Never be a silent victim – especially when another person, store or corporation is responsible for your injuries. Broward Mall, now formally rebranded as Westfield Broward, is a mall located at 8000 West Broward Boulevard, in Plantation, Florida. Originally owned by the Mills Corporation, whose namesake is used for the Sawgrass Mills Mall, it was changed to Westfield after the mall was handed over to the Westfield Corporation, an Australian company. It is in the southwest quadrant of Broward Boulevard and University Drive in Plantation. It used to be known by locals as the Broward Mall or the Sears Mall because of one its main anchor tenants. Over the years, the Westfield Broward Mall was negatively impacted by the Sawgrass Mills Mall as the western edges of Broward County were developed. With over 1,000,000 square feet of shopping, restaurants, parking spaces, as well as a movie theater, the one-level mall offers many different entertainment options for its customers. The movie theater itself was added after several renovations were made to the mall, including an expansion to its food court and changes to their family and children’s play area, according to the Sun Sentinel. The Anchor stores they offer are a Sears, Macy’s, Dillard’s, and a JC Penney. These stores take up over a combined half of the mall’s million square feet. Do not admit fault. Many people assume that they were at fault when, after a detailed investigation, it turns out it was the fault of the store or some other person. Even if you don’t call for an ambulance, get to an emergency room, urgent care clinic or your doctor as soon as possible. A delay in treatment will become a factor in the insurance company’s evaluation of your claim and in negotiations. The Broward accident attorneys at the Wolfson Law Firm have helped negligence victims in South Florida since 1963. They are standing by and they are ready to help you and your family. Our Broward injury lawyers offer personal injury legal representation to the communities of South Florida including but not limited to Plantation, Sunrise, Cooper City, Davie, Weston, Pembroke Pines, Miramar, Hollywood, Margate, Coral Springs, Fort Lauderdale, North Lauderdale, Tamarac, Pompano, Lauderhill, Rio Vista, Wilton Manors and Sawgrass.